Johannesburg, July 27 (IANS) India and South Africa signed three agreements, including in the areas of agriculture and space cooperation, following bilateral talks between Indian Prime Minister Narendra Modi and South African President Cyril Ramaphosa on the sidelines of the annual BRICS Summit here. 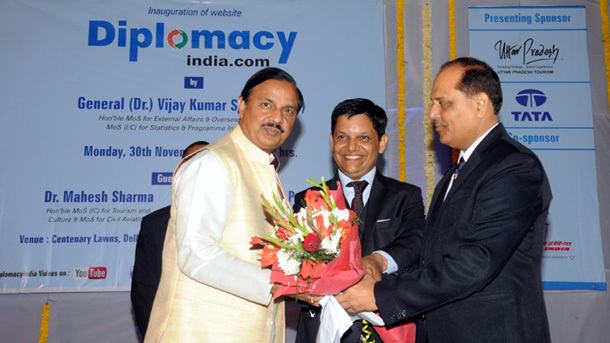 Addressing the media here on Thursday evening, Indian Foreign Secretary Vijay Gokhale said that both leaders expressed satisfaction at the growth of bilateral trade. India-South Africa trade stood at a little over $4.1 billion till the end of August last year. “Among the areas the Prime Minister said the South African companies should be exploring in India are defence, food processing and health insurance,” Gokhale said. The two sides signed three agreements on cooperation in exploration and use of outer space for peaceful purposes, setting up of Mahatma Gandhi-Nelson Mandela Centre of specialisation for artisan skills, and agricultural research and education. 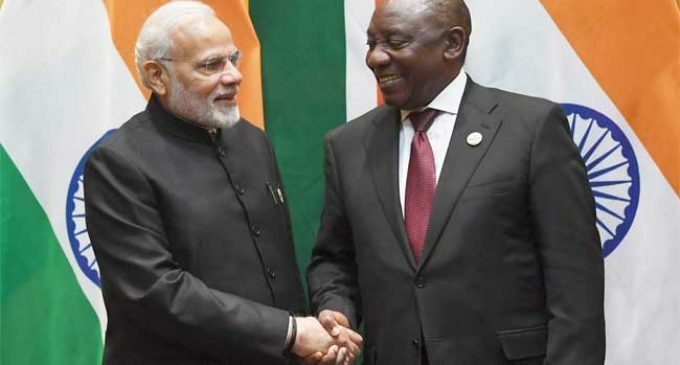 This was Modi’s first meeting with Ramaphosa after the latter assumed office in February this year.